Live in comfort by redefining your home into a Paradise. Create a statement with clean and sparkling house and workplace. AvishayCarpet has a wide range of solutions to beautify your house and office. A trusted name in the arena of setting up and maintenance of carpet and flooring, the company has been meeting the needs of consumers through its world-class solution. The carpet installation industry has many branches in Boston, Cape Cod, Massachusetts (MA) and Rhode Island (RI). AvishayCarpet offers a top notch cleaning services to its clients. AvishayCarpet offers carpet cleaning for both home and workplace. The first phase of cleaning process involves pre conditioning. Damaging elements like sod that cause harm to the carpets color and form due to prolonged use are removed with the usage of formulated removal agents. In the second phase, the spots in the carpet are removed. In this process also certain special formulated agents are used to remove spots and stains such as ink, blood etc. However, use of these agents does not harm the fabrics in the carpet and remains permanent. Specialized solutions under high temperature and pressure are sprayed over the carpet. This helps the vacuum cleaner to extract the damaging elements along with the cleaning agent. This method is known as “Jet Extraction”. The carpet gets a spotless and clean look. Then, Dupont Teflon carpet protector is used to treat the carpet, which gives protection from further damage. In the end, a final touch is given to the carpet and to make it smooth. Briefly speaking, home carpet cleaning process also involves removal of pet stains and odor on carpets, color restoration of carpets, dry cleaning, to name a few. 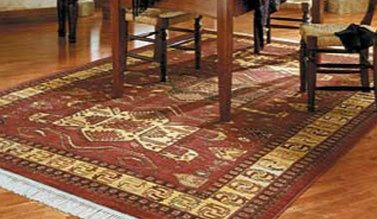 AvishayCarpet has great home rug cleaning as well as professional rug cleaning service. The company offers cleaning of rugs of various kinds such as hand made imported products of India, Persia, Pakistan, Afghanistan and domestic rugs of trade. Rugs are washed with due care by applying cleaning agents and then followed by dry cleaning. Prolonged use of carpet makes it dirty and very often turn out be odorous. Sometimes pet odor persists in the carpet. 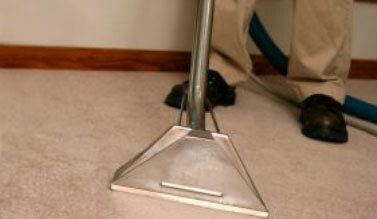 AvishayCarpet offers simple method for carpet odor removal. Special formulated agents are used for cleaning by washing and spraying over carpets. Spots give a dirty appearance to the carpets. It becomes very difficult to get rid of this unpleasant spots. Cleaning agents are used to remove spots from carpets with the help of cleaning tool to give a fresh and new look. Again, carpets are very often subject to stains, which also makes a carpet look filthy and unclean. Here too, the home carpet cleaners use specially devised solutions to remove stains. Carpets become tainted and unhygienic due to pet stains. There are cleaning agents to remove stains of pets on the carpets. AvishayCarpet provides outstanding pet cleaning services to its clientele worldwide. Live a healthy life free from dirt and disease. AvishayCarpet has the ready solutions to give a satisfied and better way of living.